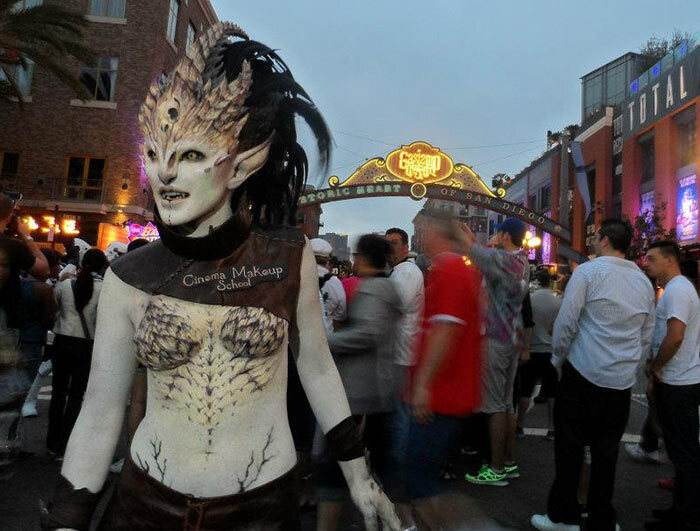 This episode, N4AL’s Wendy and Adron talk with Lee Joyner, sculptor and special effects make-up artist, and director of admissions for Cinema Makeup School in Los Angeles. 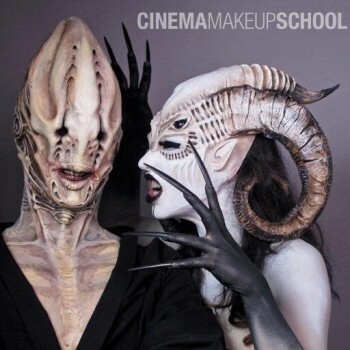 Cinema Makeup School is dedicated to educating the next generation of makeup artists for the film, television, fashion and entertainment industries. They aim to provide students with all of the skills needed to succeed as makeup artists and to give them a solid foundation for any job they seek. In addition to makeup techniques, CMS students are taught professionalism, ethics, business, and history. The school was founded in 1993 to offer shorter, more concentrated classes; keep all instruction up-to-date with the latest professional methods and standards; and attract top working artists to teach at the school. 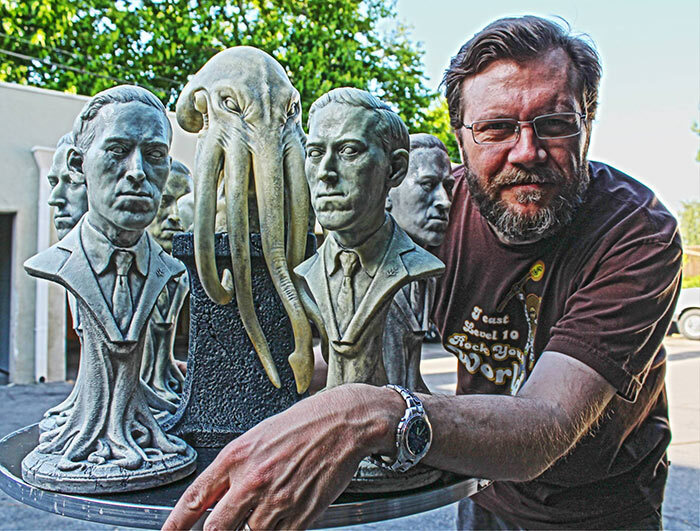 Lee’s been involved in the creature creation business since 1990, working with everyone from Guillermo del Toro to Alice Cooper to Usher, for Disney and Nickelodeon, and on TV shows like Stargate SG:1 and Star Trek: Voyager. 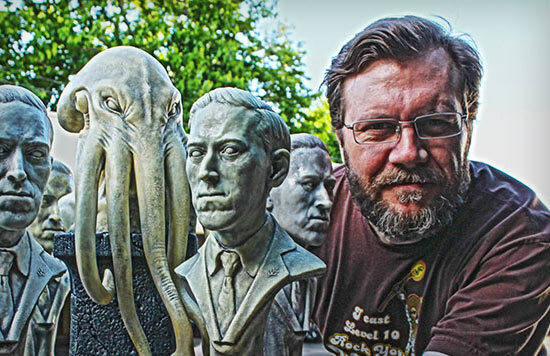 Lee started sculpting at the early age of 12, drawing for a few years before that, after being raised reading authors Madeiline L’Engle, H. P. Lovecraft, Stephen King and Piers Anthony, as well as wonderful books such as Mrs. Frisby and the Rats of Nimh, Watership Down, Duncton Wood and many others. He is an avid lover of the Dungeons & Dragons role playing game, having played the first edition ruleset when it was first released in the ’70s. This obsession with fantasy art led to Lee attending Savannah College of Art and Design for illustration, then traveling the country to various other colleges, ending at the Art Institute of Pittsburgh for Industrial Design. After working with various animatronic firms, from Florida to Tennessee to Michigan, moving from one job to the next, Lee ended up in Los Angeles, creating and contributing to some of Hollywood’s iconic creations. Now, alongside teaching at Cinema Makeup School, Lee focuses on his creature concept design, creating an imaginary world of his own, filled with beings that are an amalgam of books, films and illustrations and paintings that have influenced his psyche and made him who he is today. 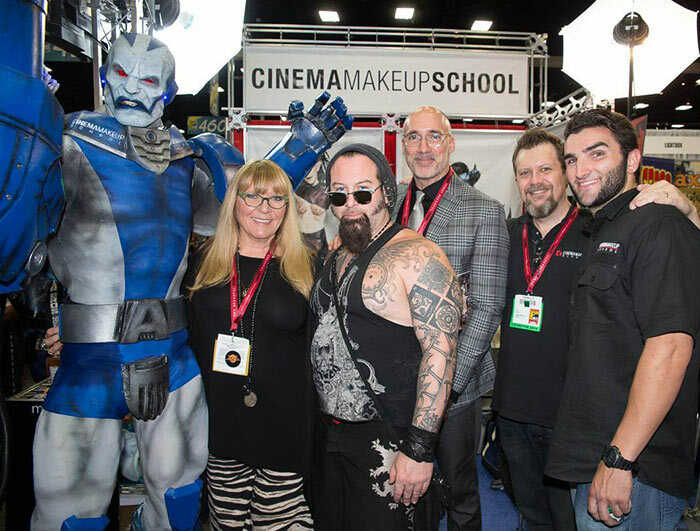 Visit the Cinema Makeup School website. Like Cinema Makeup School on Facebook. Follow Lee’s Joyner Studio on Facebook. Check out Lee’s IMDB page.